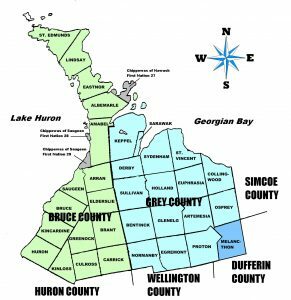 The Bruce and Grey Branch of the Ontario Genealogical Society represents Bruce and Grey Counties. We meet during the months of April, June, August and October. Everyone is welcome to attend these meetings. In fact, visitors are encouraged to come and tell us who they are searching for. Few leave a meeting without some advice as to whom or where to go for more information on their family tree. One of the best aspects of our meetings is the chance to network with the other genealogists who are there looking for more information on their ancestors. Please check out our Events tab and Calendar for upcoming events!